As soon as your car seats don’t fit comfortably in the back seat of your sedan, it’s time to get a minivan. As parents, we became keenly aware of the Honda Odyssey because everyone has raved about it. Admittedly, the Odyssey does have a number of bells and whistles, like rear seat entertainment system and in-car vacuum. But, putting the frills aside, there’s a very good case to be made for the Sedona. And that’s just what we’ll do in this comparison guide. Price always comes into play when it comes to minivans. You have a growing family, you probably have a mortgage, and you’ve been around enough to know that the most expensive option isn’t always the best option. Take your time to see what your money is getting you. 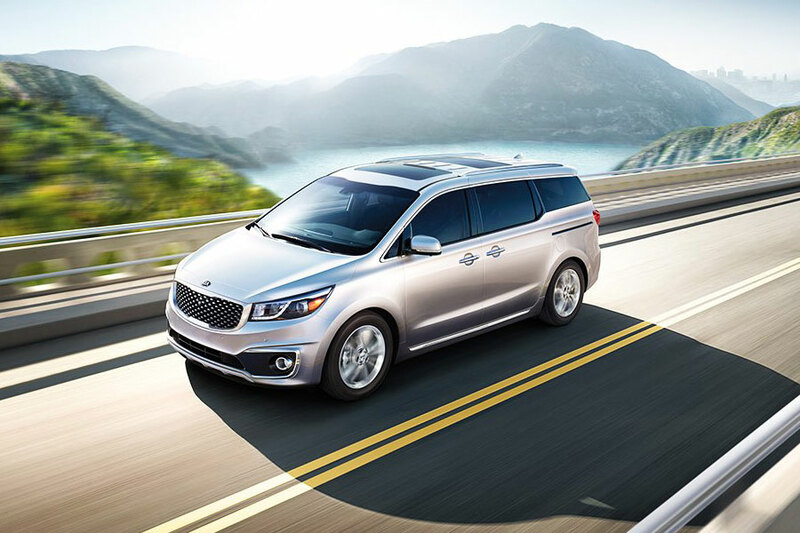 The 2019 Kia Sedona starts at $27,200, thousands of dollars less than the Odyssey. For the Sedona’s low starting price, you get Slide-N-Stow second-row seats (more on that later), rearview camera, UVO infotainment system with 7-inch touch screen, four-speaker audio system, USB port, Bluetooth, Android Auto, and Apple CarPlay. The 2019 Odyssey starts at $30,190 and comes standard with rearview camera, remote entry, push-button start, 5-inch display, seven-speaker sound system, Bluetooth, hands-free text messaging, two USB ports, and eight-way power-adjustable driver’s seat. In summary, you get more speakers and one extra USB port, along with some easy-access features, but the Odyssey doesn’t give you smartphone integration or a real infotainment system. With base engines about the same and all other things being equal, the value’s in the more affordable Sedona. It’s too early to say for the 2019 model year, but the Kia Sedona and Honda Odyssey earned the exact same JD Power reliability score last year. So we’re expecting a similar result, meaning they’ll both have roughly the same chances of driving on without a hiccup. But if hiccups should come, Kia offers a better warranty. Buy a new Sedona and you’ll receive a five-year or 60,000-mile basic warranty and a 10-year or 100,000-mile powertrain warranty. That beats the Odyssey’s warranty almost twice over. The Honda minivan gives you only a three-year or 36,000-mile basic warranty and a five-year or 60,000-mile powertrain warranty. When troubles come, Kia will be by your side for years longer. 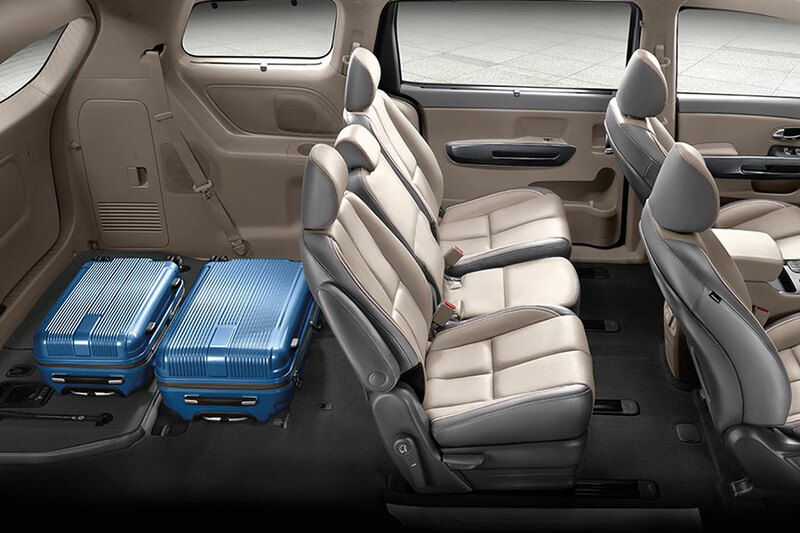 The Kia Sedona has slightly more cargo room than the Honda Odyssey, both with the seats up or all of them folded down. There’s 34 cubic feet available that extends to 142 cubes when you need it. But that’s not the most exciting part. The Sedona gives you Slide-n-Stow seating. The third row folds into the floor, leaving a nice even surface. And the second row pushes out of the way. Both can be accomplished in mere seconds. The Honda Odyssey’s second row seats must be removed to get all the cargo room on offer, which is a backbreaking chore if you ask us. The Odyssey may have frill features, but, for our money, the Kia Sedona is the better minivan.